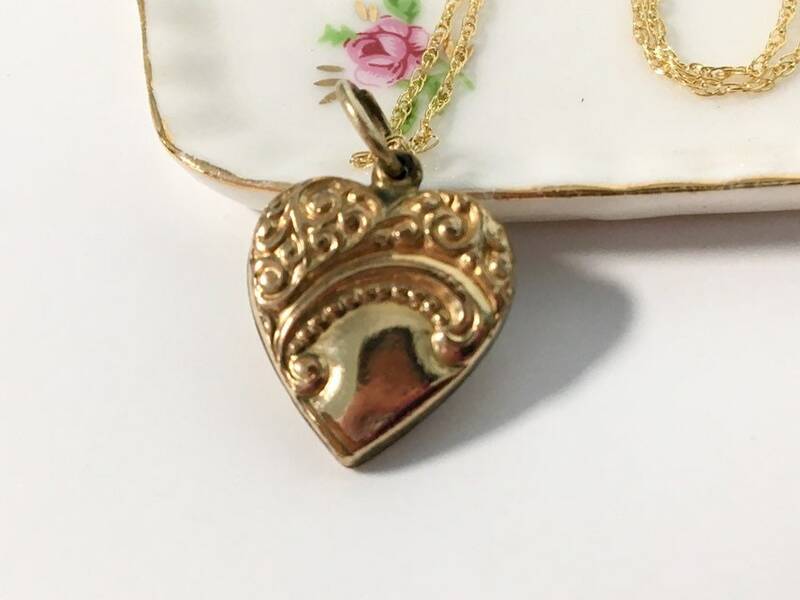 Adorable petite antique embossed and engraved heart pendant necklace that is circa 1910 - 1920s. 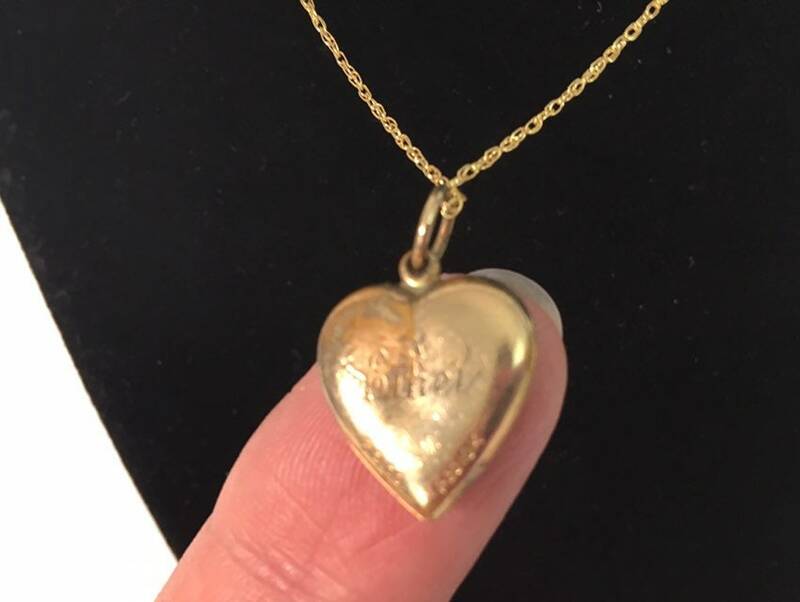 The engraving on the back is a monogram of three initials. 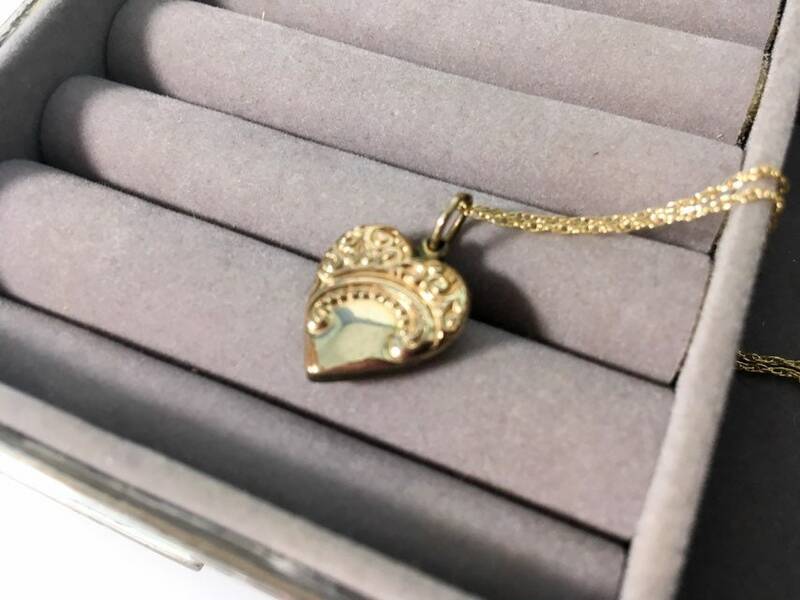 This tiny hallmarked 10K gold filled heart charm has a wonderful embossed Swirl and dotted motif all around the front outer edges on the front, and the name “Ethyl” engraved on the back. 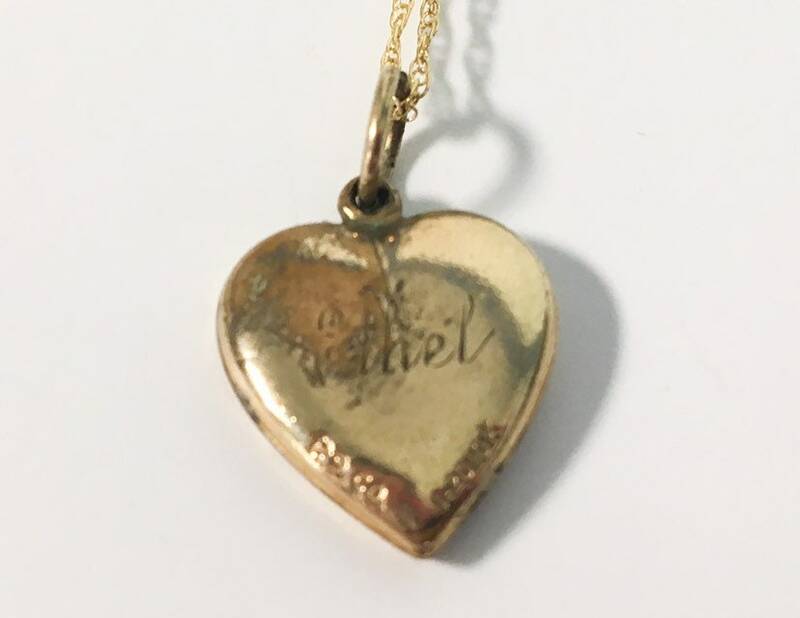 The back is also hallmarked PS Co for the Plainville Stock jewelry company of Plainville, Massachusetts that was in business beginning in the late 1800s. The back says 1-20 10K on the outer edges. 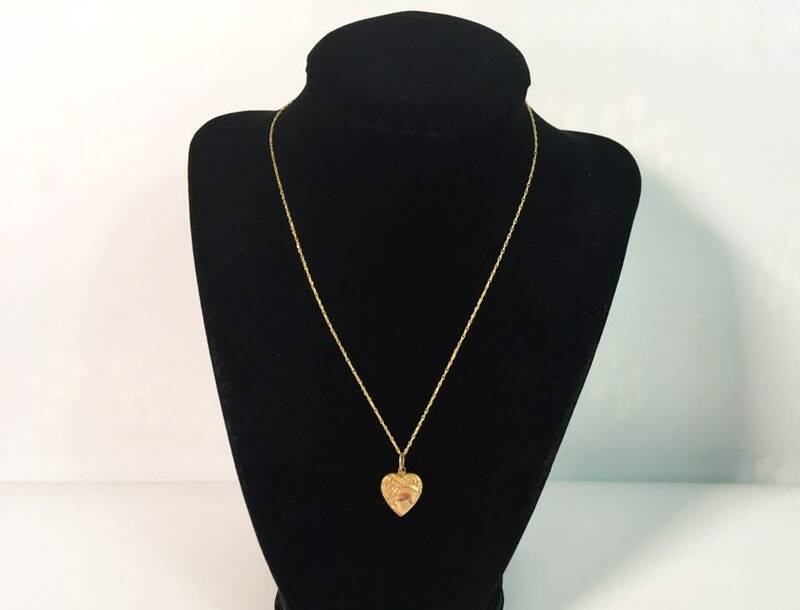 This means it is 10K gold filled. 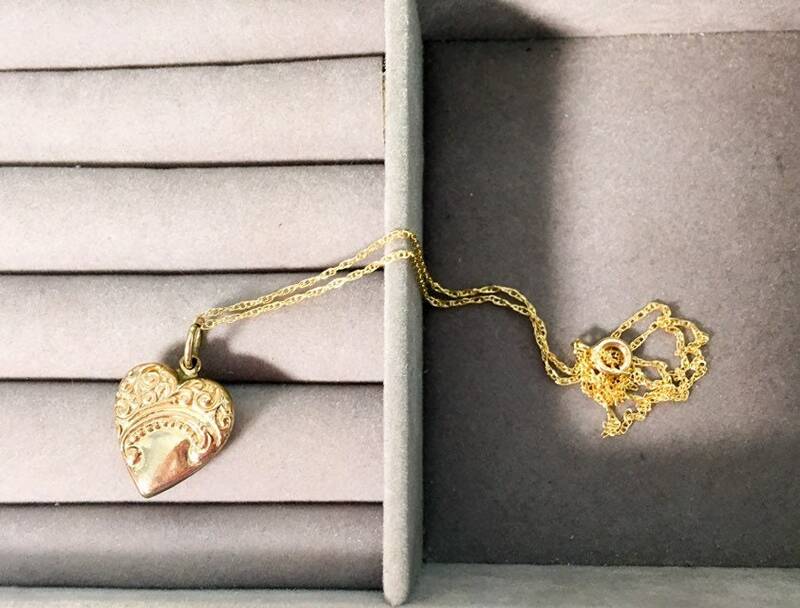 The embossed and engraved heart charm pendant hangs from a newer fine link 14K gold filled double rope chain. 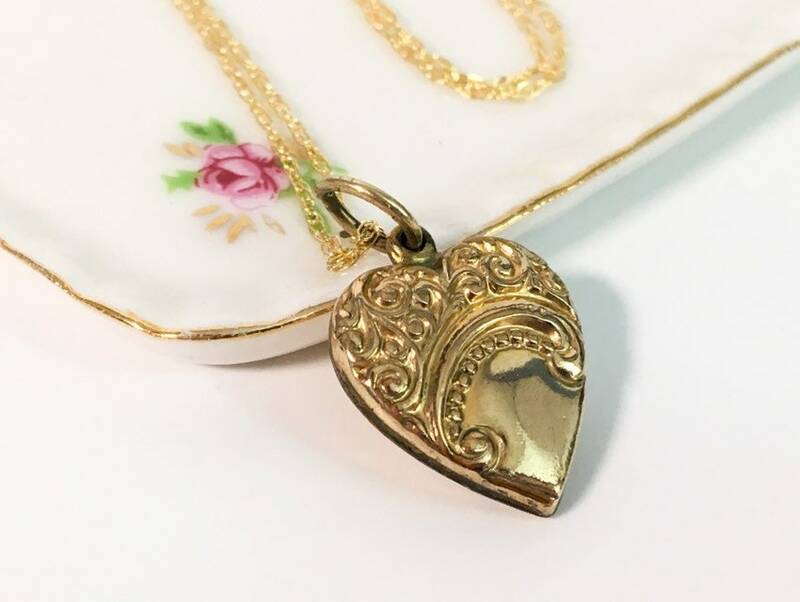 The pendant is in fair antique condition with some wear and gold loss on the back. 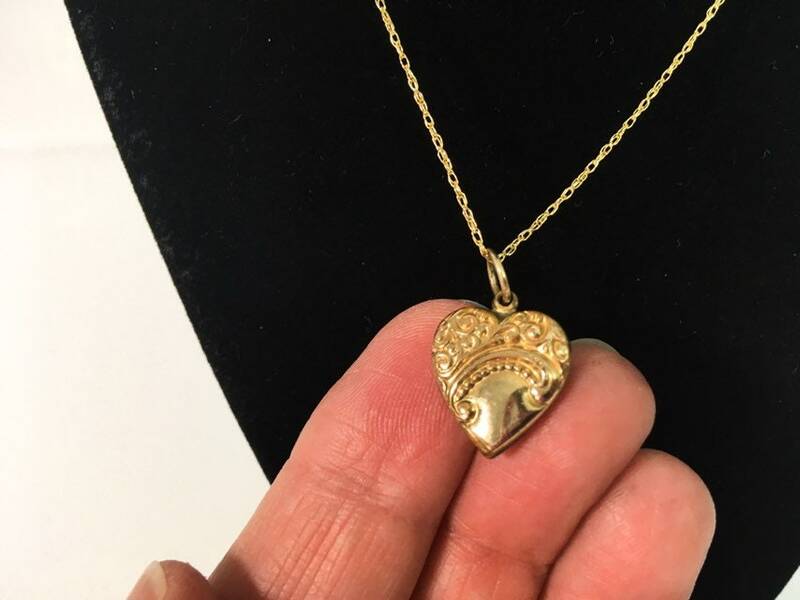 Wear is commensurate with antique age - it is scratched, slightly indented is there is and some gold loss on the back top left section from years of wear. Please see photos for more detail. 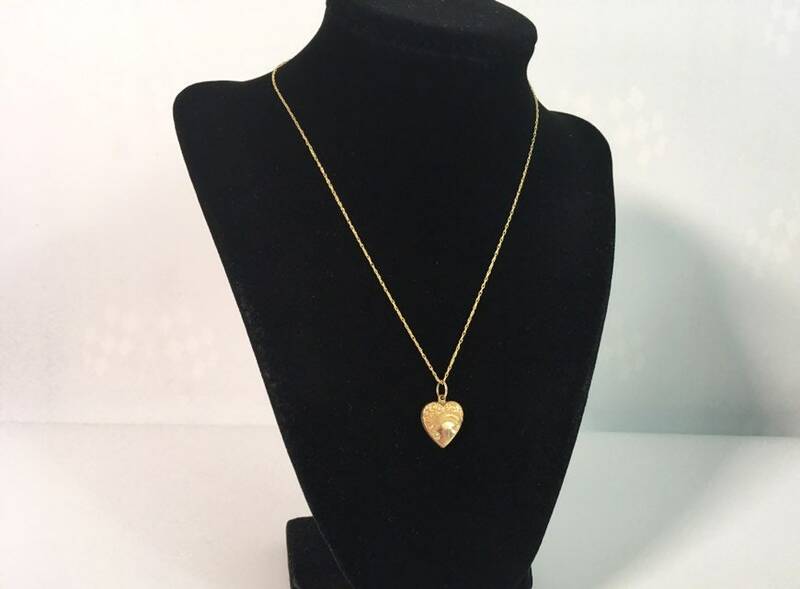 This heart shaped charm originally hung on a charm bracelet. Item’s price reflects this condition.